Note: This is a guest article written by Jacob McMillen. Any and all opinions expressed in the post are of Jacob. Brickbats and bouquets can be sent at the contact details in the author bio at the end of the post. That’s really the bottom line. Email subscribers drive more traffic and revenue than social media users or search visitors. And most importantly, for every dollar the average company invests in email marketing, it gets over $40 in return. If you can get your content in front of your email subscribers, you can expect great results. But that’s where we have a problem. A UK study found the average email open rate across all industries was just 22.8%. That’s not particularly high. For many businesses, 10,000 email subscribers is a big benchmark, but if you only have a 22.8% open rate at that subscriber count, a mere 2,280 are even seeing your emails. I’ve been able to raise my email open rates to around 45% across multiple lists in multiple industries, and today, I’m going to share some strategies I’ve used to double the market average. Gmail now has over 900 million users. It also is unique in dividing user emails between Primary, Social, and Promotional folders. For most businesses, getting emails in the Primary inbox is a challenge. In order to help get emails into the Primary box and condition subscribers to look for my emails, I will periodically ask questions in my emails and invite readers to hit “Reply” with their response. Receiving regular replies to your mailing address verifies to Google that the recipients desire your mail and can give you a better chance of getting in their Primary inbox, which leads to more opens. Even when responses aren’t provided, asking questions can communicate to readers that you are interested in a two-way conversation. These days, many content providers won’t even reply to direct inquiries. Inviting response helps build trust and communicate two-way interest. Here’s the deal. As a copywriter, I get paid pretty decent money to write great headlines. And you know what? My first headline idea is typically TERRIBLE. Seriously. When I sit down to write an email headline, I can pretty much guarantee the first one or two is going to be mind-numbingly boring. But there’s an easy solution for this. Write out as many headlines as it takes to get a great one. I can typically create a compelling headline between tries 3-5. It might take you a bit longer. The key here is that each headline should be meaningfully different. 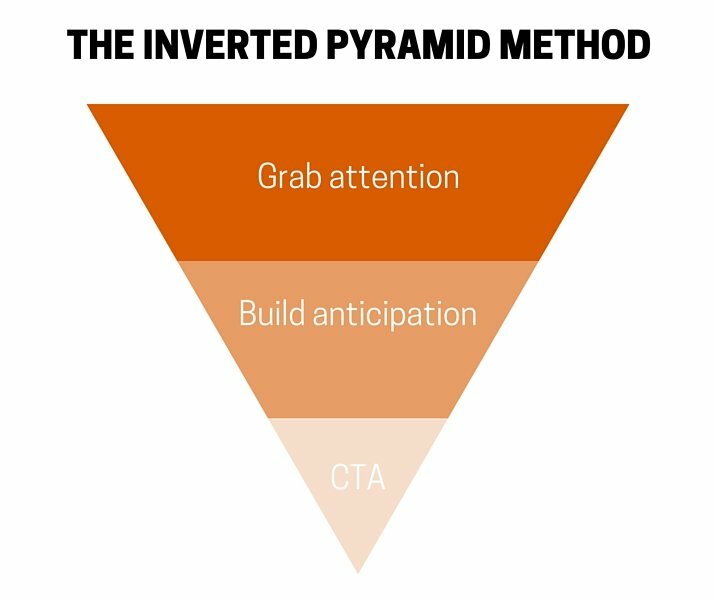 So for example, if your first headline is targeting a benefit, rethink the benefits you are offering in the content and create another headline focusing on a different benefit or a new angle for expressing the benefit. Some successful click-based businesses like Upworthy test out 25 headlines for every piece of content and vote on the best one. That seems a bit excessive to me, but ya know… whatever works. This is one of the simplest things you can do to drastically increase your open rate. Anticipation is a powerful force. If you have something people want, making them wait for it increases that desire. Many email marketers run anticipation-building email campaigns, designed to increase open and click-through rates. 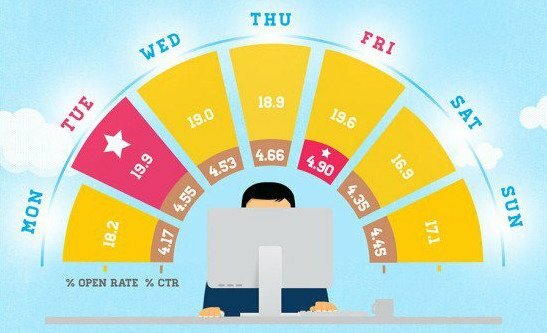 While this strategy can certainly be effective, I’ve found that simply hinting about upcoming emails within a regularly-scheduled email can increase your open rate in the following email. Next time you send an email, end with a promise that will be fulfilled in the next email and see what happens. You always need to know your goal when implementing a marketing strategy. What is the number one priority of this campaign? If the goal of your email list is to maximize website traffic, more emails, up to one per day, will almost always result in more traffic. It’s just statistics. However, if your goal is to maximize open rates, as we are discussing in this article, more isn’t always better. In fact, HubSpot increased its open rates by deleting 250,000 subscribers. Part of the reason they had to do this was because they were emailing subscribers up to five times per day at one point. Your audience has an ideal rate of consumption when it comes to your topic, and more specifically, your content. They might legitimately want to hear from you every day. Or, they might only want what you’re offering twice a month. Brian Dean built Backlinko to 90,000 visitors per month writing just one post per month. I’ve found that my audiences typically respond best to one email per week, but that may not be the same with your audience. Test and learn. Many studies have been done on the best days and times to send emails. Here’s a great display of open and click-through rates from GetResponse, analyzing 21 million US-based emails. To be honest, when I first got into email marketing, I scoffed at the idea that send times or days could be that influential on subscriber engagement. Over the first few months, my skepticism seemed to be confirmed. I didn’t notice any noticeable difference across my various emails. After 3 years of doing this with multiple audiences, I’ve made two discoveries. The first is that only the right day/time will result in a significant improvement. In other words, if you test across 7 poor send times, they will all be equally poor. When you find the right combo (and there will always be multiple right combos for any list), you’ll see an improvement. The second thing I learned is that open rates increase over time as people start to expect your email at consistent day/time. On weeks I don’t send out an email, I’ll receive emails from my subscribers asking if they missed the email. 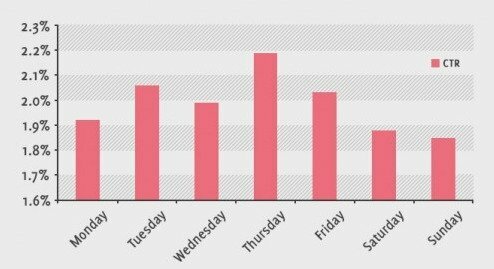 As you can see from the above chart, Saturday is supposed to be the worst day, but I’ve tested across every single day and found that Saturdays perform best by FAR more my particular audience. The easiest way to completely destroy your open rate is to send a bunch of low-value emails. And in many ways, the opposite is true. The easiest way to improve your open rate is to only send emails people want to read. I have signed up for a number of lists, and I’ll open a compelling headline from some of them if it pops up while I’m in my inbox. But there are a few lists where I actively seek out the emails each week. Why? Because every time that sender emails me, the content actively improves the way I do business. I feel like I’m actually missing out if I don’t read their emails. If you can deliver that type of consistent quality to your email list, those emails will practically open themselves. List segmenting is one of those strategies very few companies implement simply because it requires a bit of setup. But, that’s a mistake! If you are willing to take the time to create multiple list segments and tailor your email marketing accordingly, you will see significant returns on your investment. Segmenting is all about fine-tuning your message to the interests of your subscribers. When I begin working with most businesses, they have one email list, a few virtually identical subscription forms, and perhaps a single opt-in incentive. This setup gives them ZERO understanding of their subscribers. Why did they sign up for your list? Did they love that one article on email marketing? Or did they find your site searching for copywriting and want to keep you in mind for future projects? I create a new segment for every possible signup method on my site. With this system, I know how and where my subscribers signed up and which incentives they’ve downloaded. Now, I can target them with content I know they are interested in, and as you would expect, the open rates increase. 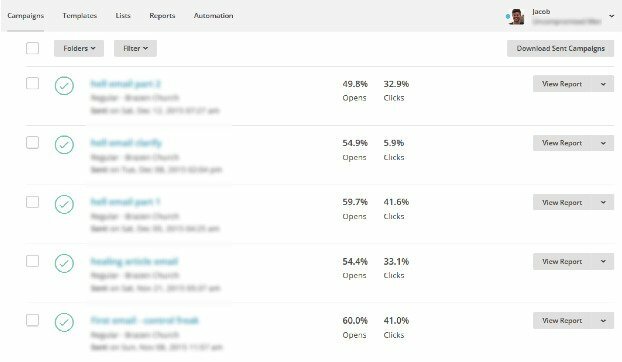 These segmented lists can get as high as 55-60% open rates for particularly great emails. You might think this would be horribly complicated to set up, but it’s actually quite simple with the right tools. Here I talk about one tool I used to get 400 email subscribers with a single blog post. Email marketing is your ticket to online profits. You put a lot of work in to build your email list. Don’t waste your subscribers. Use these 7 techniques to drastically improve your open rates and turn your list into a consistent winner for your business. Jacob McMillen is a website copywriter, email marketing specialist, amateur comedian, Thursday night poker player, and daily coffee drinker. He enjoys pretending to think in his spare time and will absolutely steal your dignity on the basketball court. Connect with him on twitter @jmcmillen89. Thank you for sharing this information . keep sharing this kind of info. Thank you Jacob for sharing such a beautiful and informational blog to us. I hope this will help to a new blogger like me. Very helpful info specifically the last phase 🙂 I care for such info a lot.